Have something to say about the current political situation? 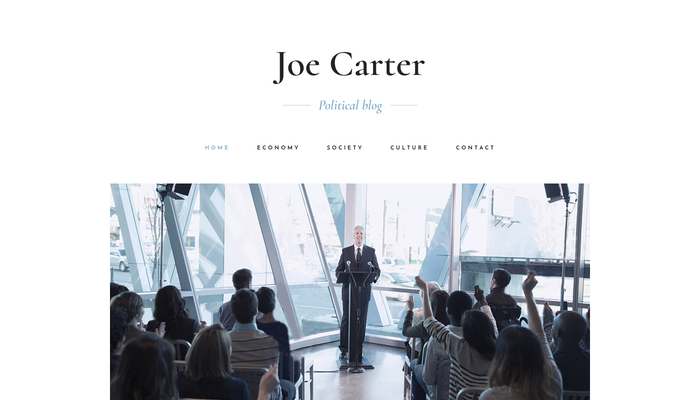 Use our modern template with simplistic design and centered logo to create a political blog. 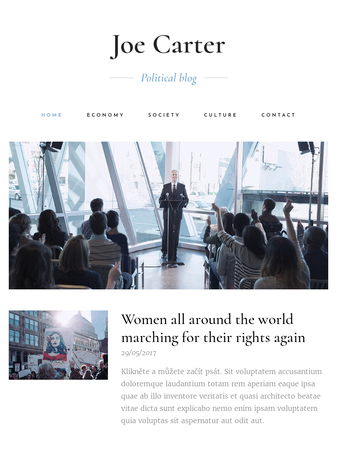 Share interesting articles, news reports or promote your favorite political party and let the world know what you think. Building a popular blog was never easier.